type40 - Doctor Who news and views: TO CELEBRATE OR NOT TO CELEBRATE? This March sees Doctor Who reach a milestone. And it’s one no Who fan can honestly deny the importance of. 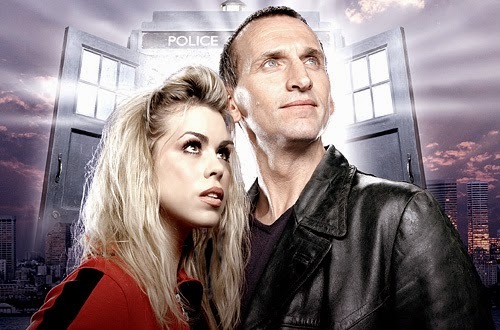 It will be the tenth anniversary of Doctor Who’s triumphant return to our television screens. It’s worthy of note. Very few ‘cult TV’ shows make it to ten years in the current climate of television politics, and the cold feet that tends to results in many shows being pulled after a lack-lustre first season (which misses the point that a first season is almost always the weakest of any show, as it is all about finding the show’s identity – often leading to a weak and schizophrenic season). Back in 2005, well, late 2003 when the plans to bring Doctor Who back were revealed, Doctor Who was largely little more than a fondly remembered television show of years-gone, often mocked and derided by critics. Sure, it had a very loyal fanbase, and despite its absence from television since 1989 (and the one-off television film in 1996) the property was still alive and well. Through prose fictions (novels, short stories), through audio dramas (on CD or radio) and in comic strips, Doctor Who had never really disappeared. Arguably, those years off screen saw Doctor Who go through its most creative period – years of strong and original fiction, with creative leaps not hindered by a miniscule television budget. But 2005 changed all that. March 2005. Hard to believe it was ten years ago. So much seems to have happened since. Doctor Who was taken in-house more than ever before, in a branding drive that saw the novel range shift its focus to younger readers, cutting the output by a good eighty percent, Doctor Who Magazine went through a radical facelift, new merchandise was on the cards. 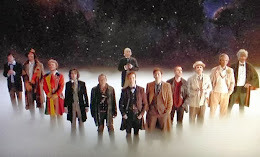 In every conceivable way 2005 saw Doctor Who become a success story – and in the past ten years that success has continued, as the show’s appeal spread wider and wider. New fans have been brought in to the re-energised series, a whole new generation that now think of the show as ‘theirs’, who have their own Doctor (or Doctors, since ten years on there have been four [or five, depending on how you look at it] actors to play the part). In every way, the past ten years had redefined the public perception of Doctor Who. The critics love it, the public love it, kids love it! But is this worthy of celebration? On January 6th, Radio Times published an interview with Russell T Davies, and he made it clear that no, it isn’t. ‘A programme can’t have its fiftieth and then it’s tenth. I think that’s just confusing. It's marvellous and glorious; let it carry on,’ said Russell. And he might have a point. Less than two years ago the BBC went a mad marketing drive to celebrate the fiftieth anniversary of the entire series. Will it confuse matters to now celebrate the tenth anniversary of the ‘new’ series? Will this suggest a division between Doctor Who 1963-1989 and Doctor Who 2005-2015? For some fans there is a division, for others there is not. Russell seems to see it all as one series. I talked to a few fans and this is what they had to say. Fan opinion is, as ever, mixed. Is it worth celebrating? Maybe. It is an achievement, and should probably be acknowledged in some way, but will making a huge deal of it ‘confuse’ people the way Russell T Davies believes? A question that is not easy to answer. For long-term fans, probably not. For younger fans? Perhaps. For the general public? It would all come down to how it is celebrated, and how well the BBC publicise it. The bottom line is, if Doctor Who had not returned in such a triumphant way in 2005, then the chances are the series would remain long-dead in the public eye.